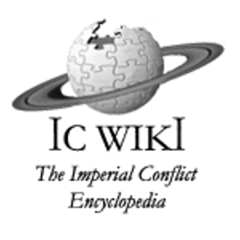 IC-Wiki is an encyclopedia for all things Imperial Conflict, written and maintained for and by Imperial Conflict’s #players. It was created as a means of establishing a written history of The Imperial Conflict Universe. While it is not the first attempt to record the events of the game, it is the first to exist for the sole purpose of documenting every aspect of the game. This includes #wars, notable families, high-profile players, the chat and forum community, as well as many other things that might not normally be considered worthy of documentation. IC-Wiki is an on-going project, and players are encouraged to write articles about themselves, families they’ve been in, and experiences they’ve had. On October 24, 2005, I_like_pie created the first IC-Wiki at ic-wiki.com, using the same MediaWiki software that powers Wikipedia. It was created as an unofficial and player-managed encyclopedia for the IC community. Unfortunately, to its open nature, ic-wiki.com over time became a target for spam bots. On February 21, 2017, ic-wiki.com closed itself to new contributions and became read-only. Unlike ic-wiki.com, this wiki was intended as an official source of game information, including a FAQ and Player’s Guide. Also unlike ic-wiki.com, this wiki was not open to the players. Contributions came solely from the staff. Between 2013 and 2017, both ic-wiki.com and the official IC wiki existed alongside each other. In July 2017, a category was created in the forums to serve as a more accessible wiki, making use of Discourse’s wiki-post feature. This removed the need to reference another external site altogether. Although this some some brief success, it was replaced later in the year by wiki.imperialconflict.com, the 3rd iteration based on MediaWiki. 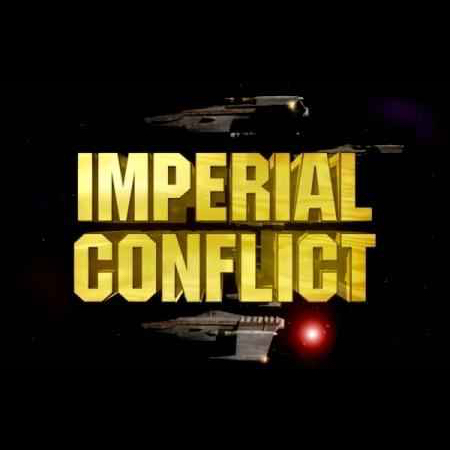 On December 15, 2017, wiki.imperialconflict.com came online. This newest wiki was intended to consolidate the efforts and information from both previous MediaWiki sites. It accepted contributions from players who requested access, but was not be open to guest contributions, thus putting itself in between the open and closed nature of the two previous wikis. This ultimately failed to achieve as much usage as the Forum Wiki that came before it. On February 05, 2019, the Forum Wiki was revived. Upon creation, there was complaint and concern that the concept would merely turn into a second FAQ or Guide. Its supporters noted, however, that although there may be overlap, its primary purpose was neither to answer game related questions nor to guide new players through the game. The idea encyclopedic nature of a wiki served a different need that had not been be done via the FAQ, Guide, Uni News, or IC-Portal.